I have very few writings of my father’s from his experiences in WWII other than the letters I have previously published and a few yet-unpublished notes. 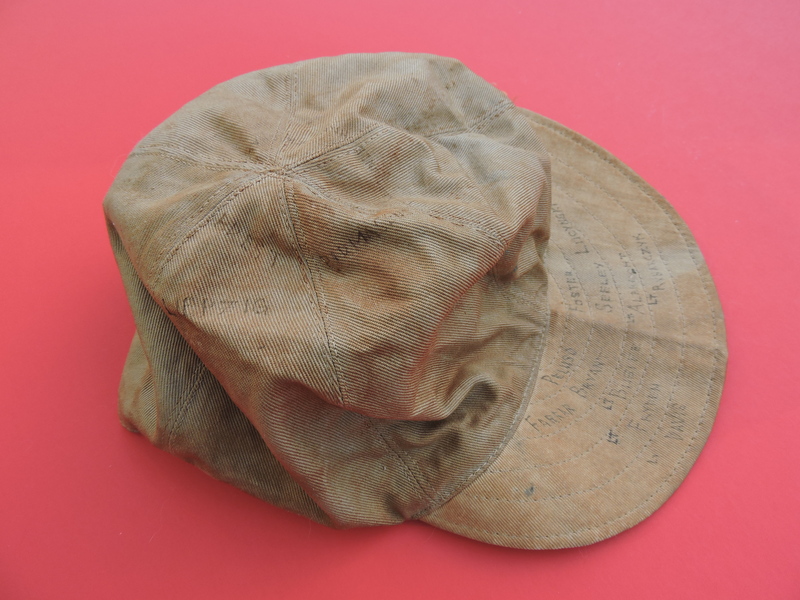 However, he did record a few things on a cap that, from the wear and stains, I believe he must have had with him when he became a prisoner of war and later endured the Black March. 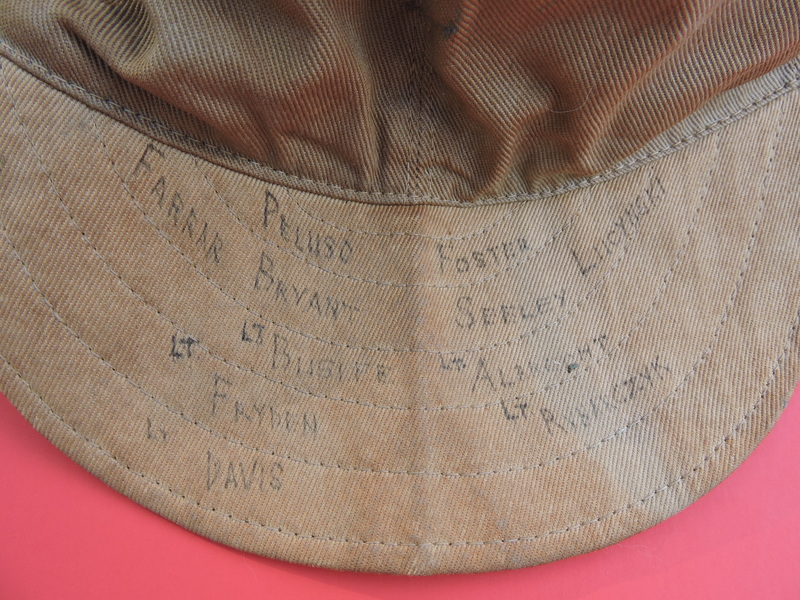 On the bill of the cap, he wrote the names of the men that were members of the original Buslee crew, and the name of the bombardier that replaced the original bombardier after his death on the August 5, 1944 mission. Peluso was the radioman, Foster the belly gunner, Farrar and Bryant the waistgunners, Seeley the top turret gunner/engineer, Lucynski the tail gunner, Buslee the pilot, Albrecht the co-pilot, Fryden the bombardier, and Rybarczyk the navigator. Davis replaced Fryden as bombardier after the August 5, 1944 mission. 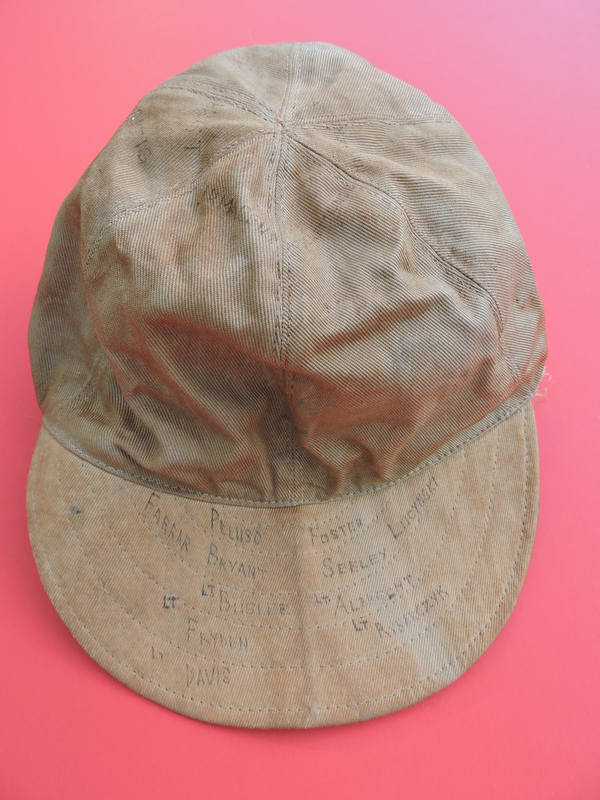 On the top of the cap, he wrote the locations of some of his missions, although the town names he wrote do not all match the locations of his missions as recorded on the 384th Bomb Group’s website. He included Hanover (August 5, 1944), Pirmasens (August 9, 1944), Brest (August 11, 1944), and Leipzig (August 24, 1944). He also added Penemunde and what I can only decipher as ALC. 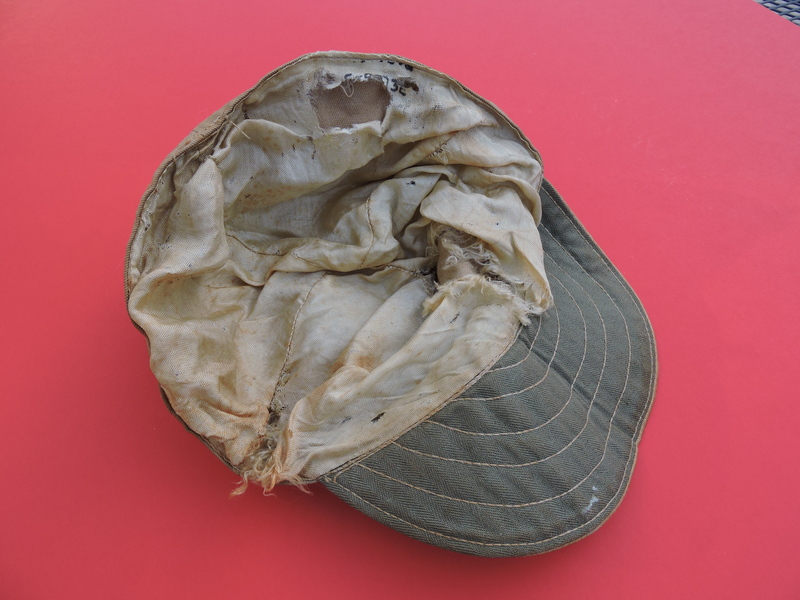 The inside of the cap is torn and I believe he probably stored papers or other items under the lining. 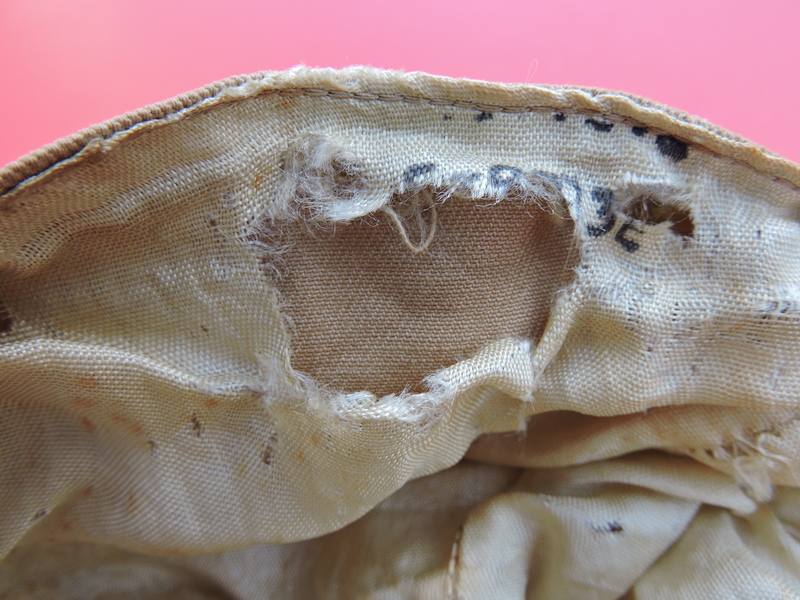 One torn area looks to have remnants of his serial number, which he may have purposefully torn out. 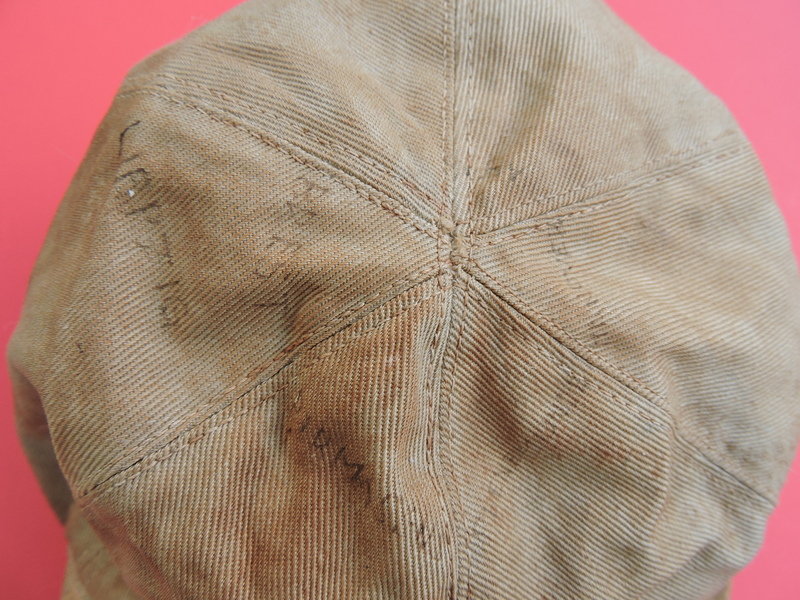 One more view of his cap from above. A lasting memory of his crew mates and missions. By thearrowheadclub in Farrar, George Edwin on June 17, 2015 .